Unique Landscaping has 20 years experience crafting ideal outdoor getaways using water features and more. Create a paradise right outside your back door with our water features! 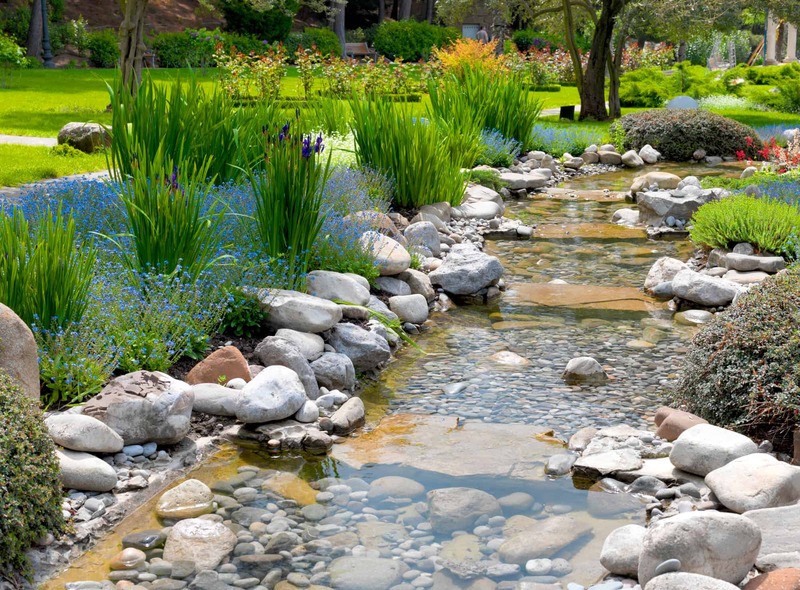 Unique Landscaping of Tulsa can create a water garden paradise in your own backyard! We will take you all the way from the initial phone call to an outdoor oasis with careful communication as we plan, create and build your own water garden. 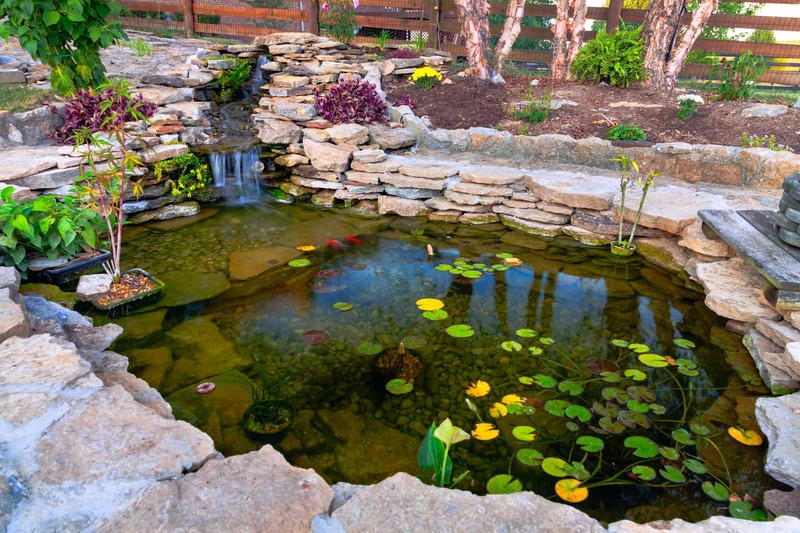 If you already have a pond, Unique Landscaping can help with maintenance so you never have to think twice about it. If you are interested in self-contained fountains we have the expertise and perfect products to ensure we can create what you’re looking for! If you would like to turn your backyard into a thriving ecosystem for wildlife then one of our ecosystem backyard ponds would be perfect for you. 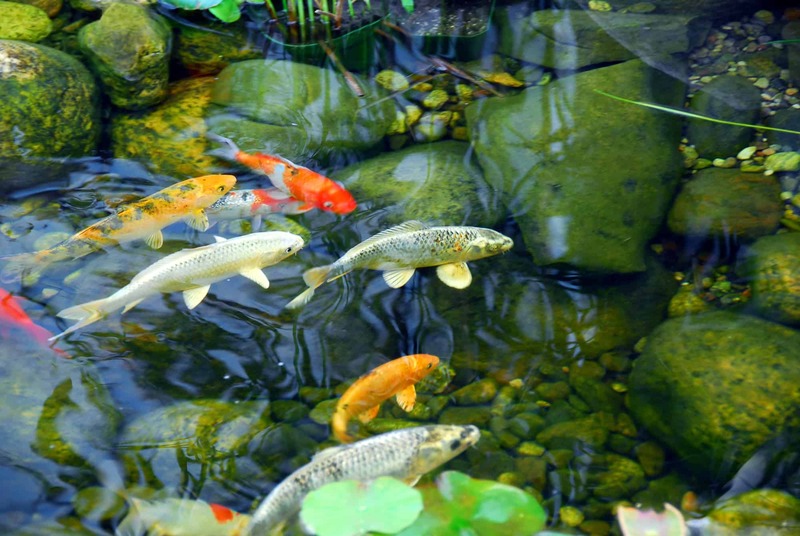 They not only provide food, shelter, and safety to the birds and outdoor wildlife that visit your pond, but they also create a home for koi fish and plants. The elegance of a fountain combined with the beauty of nature is what you get when we install one of our pondless waterfalls. 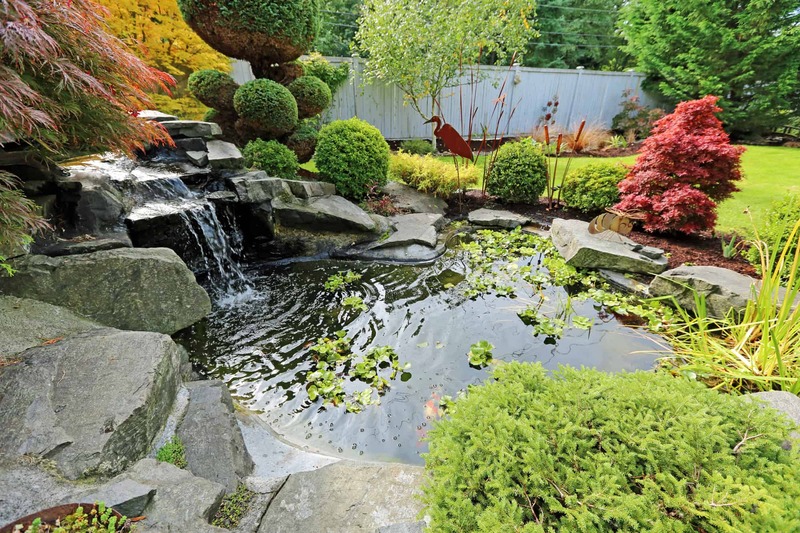 Enjoy the bubbling of a stream or waterfall without having to install a pond. Whether it’s a bubbling urn, patio fountain, or bubbling rocks we can create a gorgeous decorative waterscape or fountain. Call us today to get started!